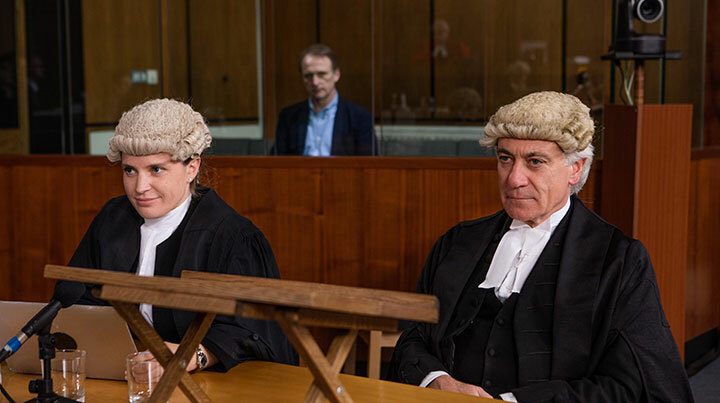 Director Kath Mattock tells DQ how she became involved in factual drama The Trial: A Murder in the Family and how this complex series blends reality and fiction in order to record the deliberations that take place by a jury deciding the outcome of a murder trial. Dragonfly was commissioned to make a five-part series by Channel 4’s factual department, which was excited by the proposition of being able to get a documentary crew into places that are normally impossible to access. In this case, the initial spur was to be able to witness jury room deliberations; to record the dynamic that opens up between 12 randomly selected people and the process by which they reach their verdict when judging a serious crime. This also presented the opportunity to capture the mostly elusive way barristers approach and craft cases. Documentary director Nick Holt had made a film called The Murder Trial, which I had seen and admired. He contacted me after seeing Murder, a drama film I had made for BBC2, which told the story of a joint-enterprise case using direct-to-camera testimony (or ‘confessions’) and evidential material – CCTV, photographs, archive content and so on. It was strongly influenced by Errol Morris documentary film The Thin Blue Line, but was clearly a drama. We started talking about the channel’s proposition and the space between drama and documentary; how one might unlock the other. 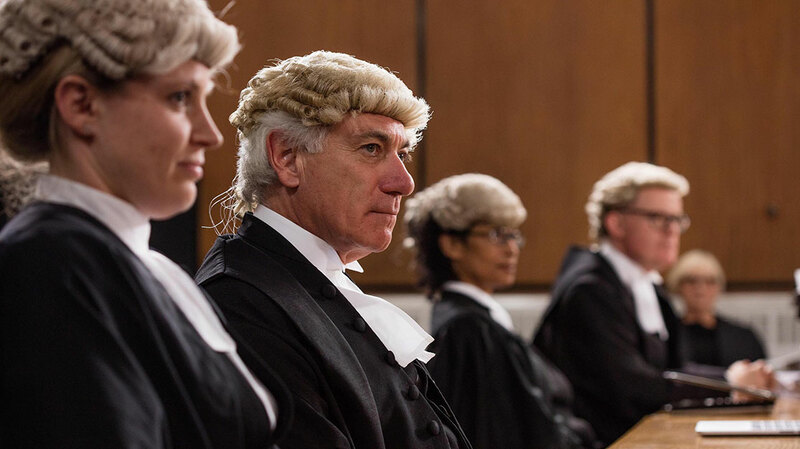 Quickly it became clear that to achieve our aims we had to create a fictional case that we could put into the courtroom in a way that felt as real as possible, both in content and in performance; that would engage and sustain both the prosecution and defence teams and the members of the jury in their willing suspension of disbelief. We knew we had to shape a case and then document it so it could be delivered to the prosecuting QCs [Queens Counsel barristers] in evidential bundles in the same way they would receive a real case, so they could run it as they saw fit. But to allow them to do so, the courtroom had to operate as much like a real court as possible – no one could call cut once we were underway. Once we had settled on the idea that the final episode of the series would reveal the truth of the crime in drama scenes, we knew we were embarking on something that had multidimensional challenges. I had recently read a script called Ellen, by writer Sarah Quintrell, which Channel 4 was just about to shoot as a single drama. There was something very arresting about the writing. It was simple and direct, yet it had a heightened, almost hyper-real quality. Nick, Sarah and I met and looked over a number of existing cases before settling on the idea of a ‘quiet’ murder – something domestic and relatable for the jury. We set it in Newbury [a town in southern England]. This specificity seemed important to hold on to. Then we drafted a number of scenarios and key character biographies. Julia Horan came in to cast it. 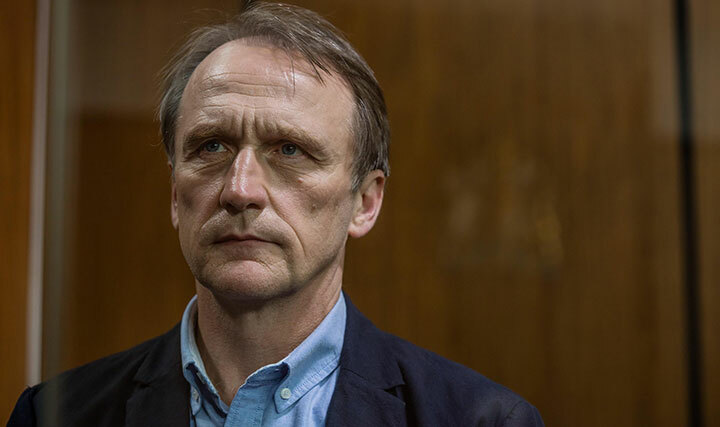 This was crucial, as we needed someone who could find actors not just with a willingness to play and create in the rehearsal room, but also possessing real composure in the court setting to deal with the challenge of real-time improvisation when being cross examined by top QCs. We pushed actors in casting with various scenes (there was no script at this stage) and improvised interviews. Then, in tandem with the channel and legal advisor David Etherington, the story was honed and we began a two-week workshop period, with director Roxanne Silbert coming in to work alongside us and the actors to develop intricate timelines, character relationships and truths. These histories had to have a real depth and complexity. Secrets were kept judiciously – only the actors playing the victim and the perpetrator knew for sure who had really committed the crime. Everyone knew only what they needed to know. As in real life, everything is partial, and so while we appreciated each actor’s ability to play their character with nuance and skill, this would be undoubtedly more effective if they were only party to certain instances or pieces of information. As such, it intrinsically demanded a generosity from everyone involved. Everything was serving the story. 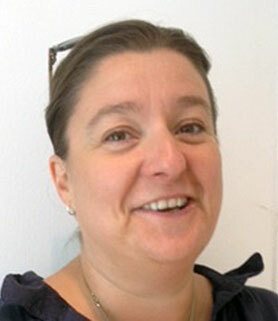 Michael Gould is the accused and Emma Lowndes plays his estranged wife; her current boyfriend is played by Kevin Harvey, and his daughter is played by Fern Deacon. They were all at the heart of things and carrying the piece, but the detail of a seemingly casual witness also held its place. As this process came to an end we called in former police officers to interview each witness and member of the family in something approximating normal police procedure. From these interviews, paper witness statements were generated. These interviews were run in real time and were the first interactions between ‘real’ professionals and improvising actors. Something came alive immediately. We then shot all the remaining police interviews and CCTV footage needed to complete the pre-trial evidence in designed spaces, the actors now costumed and prepped but still improvising and running in real time. Nick and I developed a technique whereby he would prep the police and I would prep the character and we would then send them into the space together, so neither side would know exactly what the other was going to do. This co-directing approach kept things alive and served us well across the course of the trial itself. When shooting the scripted drama elements I maintained this direct relationship with actors, whilst consulting with Nick on all key decisions. Simultaneous to this work, the jury were being selected and interviewed, as were the QCs. The evidence bundles were revised and revised. Maps and professional reports covering DNA and forensics were completed with fresh perspectives that impacted timelines and details that the actors had to keep across. A recently decommissioned court was rigged with cameras, as were the jury and the barristers, and the filming apparatus and process was kept to a minimum. The actors and professional witnesses came in as called daily in the shape of a trial created by the prosecution (as in real life, they decide how best to serve the case). The QCs Max Hill and John Ryder approached things diligently and adversarially, the actors relished an extraordinary challenge and the jury then entered into the world of the story, so much so that the burden of decision took a real weight by the end. Writing, prepping and shooting the scripted and the additional phone/archive material was relatively straightforward compared with the staging of the trial itself. We made the decision to keep the camera still and to be bold stylistically in this way and to let the actors continue with their trajectory across the piece. After all, they were extremely in tune with the story at this stage. The scale and ambition of the whole series was then revisited in a demanding edit that had to come to terms not only with reams of material, but a density and a need to find a way of telling that served deliver the story best. 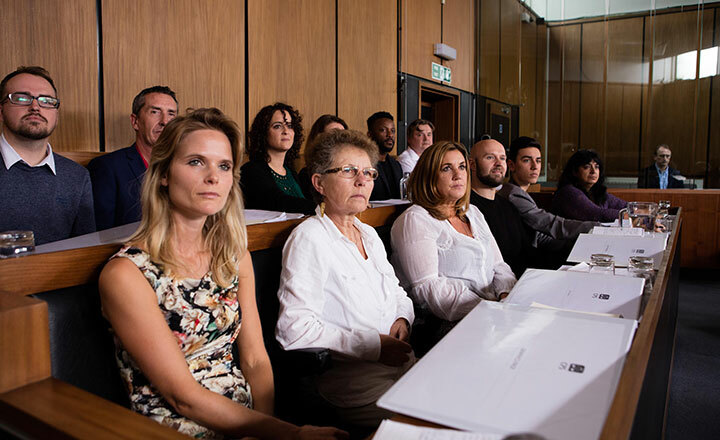 Channel 4 launches The Trial: A Murder in the Family on May 21, running across five consecutive nights.